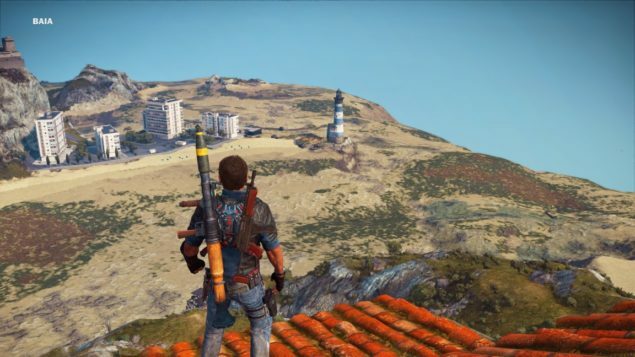 Just Cause 3, the open world game developed by Avalanche released last year on consoles and PC, is going to receive three add-ons this year, as revealed by Square Enix just moments ago. The three add-ons are part of the Air, Land & Sea Expansion pass, which will be available for purchase for the price of $24.99 / €24.99 / £19.99. The Expansion Pass will also come with an additional benefit, as all those who purchase it will be able to get the upcoming expansions one week before everyone else. The three add-ons, which are called Sky Fortress, Land Mech Assault and Bavarium Sea Heist, will expand the Just Cause 3 experience with new missions, new tools such as the Bavarium Wingsuit and the Eviction personal defense drone, a new vehicle that can be carried over into the main game and more. Sky Fortress (available standalone for $11.99 / €11.99 / £9.49) – Contains a brand new set of missions that introduce a new threat – a huge and terrifying Sky Fortress and an army of deadly robotic drones. To tackle his deadly new adversary, Rico Rodriguez will use a new upgradeable, rocket-powered, weaponised ‘Bavarium Wingsuit’ fitted with shoulder mounted machine guns and auto targeting missiles – alongside his new ‘Eviction’ personal defence drone and ‘Bavarium Splitter’ assault rifle. Land Mech Assault – Will contain another new series of missions that introduce a unique new vehicle that can be carried over into the main game; a heavily armoured mech armed with a gravity gun that allows objects to be picked up and powerfully thrown in any direction. Although the mech is as strong as a tank, it is highly manoeuvrable and agile and behaves unlike anything else in the game. Bavarium Sea Heist – Details will be revealed in the following months. A new trailer has also been released for the Sky Fortress expansion. You can check it out right below. The first of the Just Cause 3 add-ons, Sky Fortress, will be released next month on all formats for the price of $11.99 / €11.99 / £9.49. The other two will be released before the end of Summer.